Hundreds gather at an Augusta temple to show support after the deadly attack in Pittsburgh. 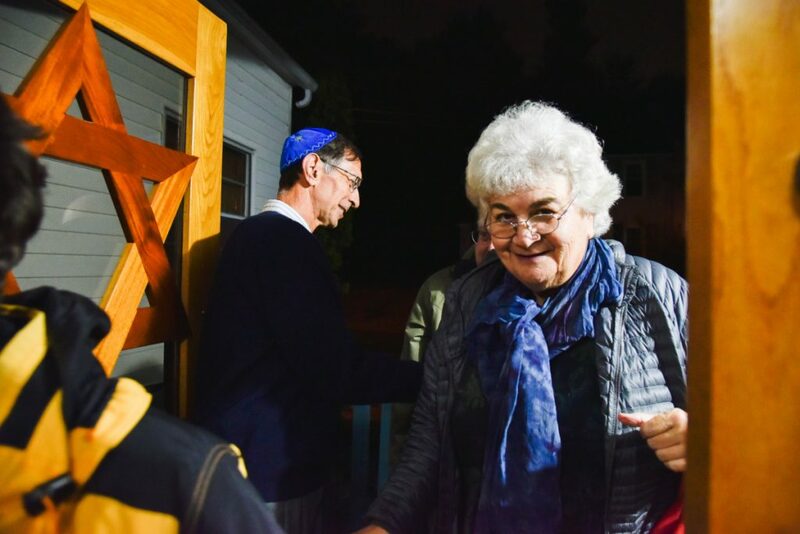 AUGUSTA — Rabbi Erica Asch told the roughly 200 people packed into Temple Beth El for an emotional Shabbat service Friday night that their support since the synagogue shootings in Pittsburgh last weekend has been amazing. But she also said their prayers and shows of support are not enough. Community members of all faiths were invited to join the service Friday night in the wake of the Oct. 27 massacre of 11 people at a Pittsburgh synagogue. Charles Cohen, president of Temple Beth El, said the service would have drawn around a dozen attendees on a more typical night. Temple member Ellen Freed said the show of support for the Jewish community in central Maine took her breath away. Temple members Robert and Ava Gross of Gardiner said the attacks did cause them to consider their own safety before going to Friday’s event. Robert Gross, who holds a concealed weapons permit, said he considered bringing a gun with him for protection, but decided not to. Ava Gross said she had hoped there would be police at the temple for the service. No police were readily visible Friday night, though Asch previously said an Augusta police officer was stationed outside Temple Beth El last Sunday, the day after the Pittsburgh attack, at the request of temple members shaken by the massacre. Ava Gross said she’s not a very religious person and doesn’t come to the temple often. But she said, nearly choking up, she felt she had to attend on Friday to be with her people, and to remember the victims of the shooting. Several local leaders and followers of other religions attended the service, in a show of support for the Jewish community. They included the Rev. Bob Farley, pastor at Seventh-day Adventist Church in Augusta and his wife, Cheri. He said he came because he felt that, as a member of a local church family, he should show support. 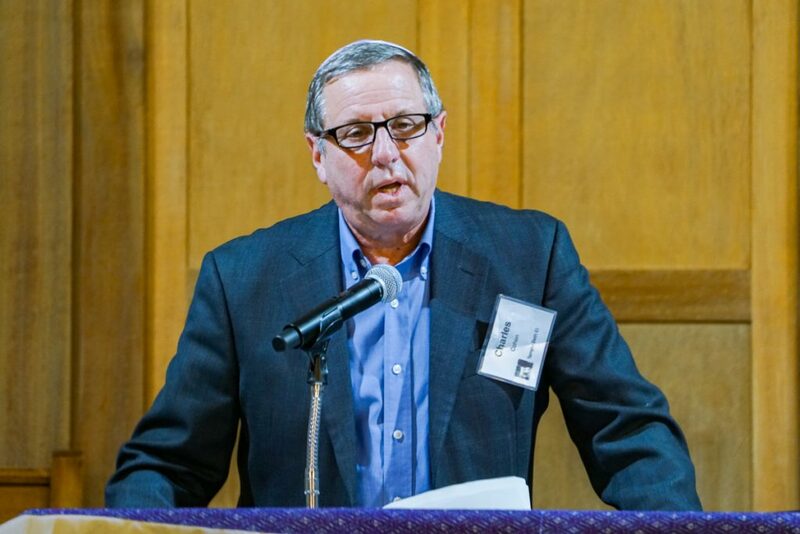 Asch said Temple Beth El was on a list of synagogues – accessed by the Pittsburgh attacker – that worked with the Hebrew Immigrant Aid Society, or HIAS, to help resettle refugees. Tree of Life, the Pittsburgh synagogue where the attack occurred, also was on that list. The service came at the end of a week of events held to support the Jewish community across the state, including a memorial Sunday night at Colby College; a vigil in Rockland attended by hundreds; a vigil that drew an overflow crowd to Congregation Bet Ha’am synagogue in South Portland; and a brief march in Augusta by Shia Muslims – as part of their observance of Arba’een – who said they wanted to show their support for their Jewish neighbors. On Thursday at the Augusta City Council meeting, Mayor David Rollins read a city proclamation declaring Friday to be a day of prayer and reflection, decrying the violence in Pittsburgh and noting that Augusta is a welcoming community that condemns the assassination of innocent people of faith in their house of worship. 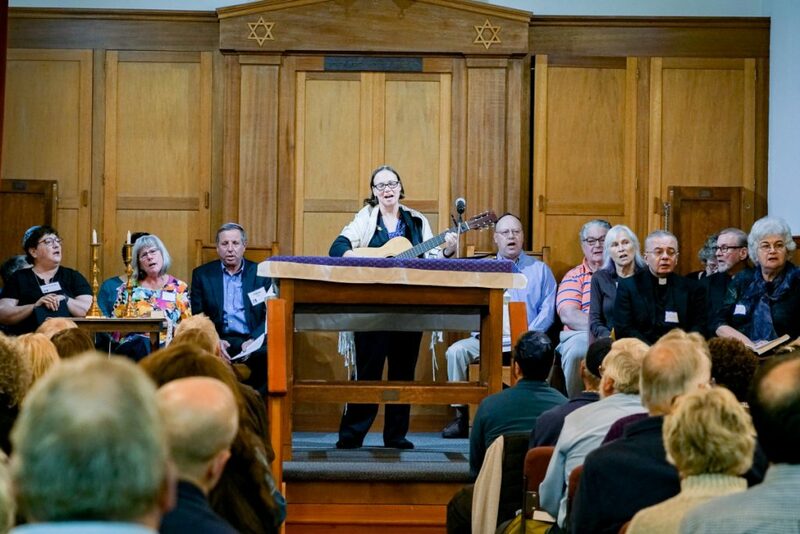 Shabbat, or Sabbath, is described by Temple Beth El’s website as the most important day in the Jewish week, a time for participants to rest, reflect and replenish themselves spiritually as they join together in prayer and blessings.